Our team is driven by intellectual curiosity. At Cadeo, we strive to cut through the clutter and deliver straightforward solutions. As stewards of a tight-knit company, each of us at Cadeo helps shape the culture we want to share. As we continue to grow, our culture will no doubt evolve, but the following core principles will not. We start with the premise that we don’t know what we don’t know. That way, we listen better. We value candor, curiosity, and clarity. We guard against the creep of bureaucracy. 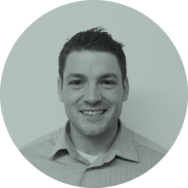 Prior to launching Cadeo, Rob was an Associate Director at Navigant Consulting, where he provided analytical and programmatic support to the U.S. Department of Energy's (DOE) Appliance Standards Program. There, he led the financial and competitive impact analyses Navigant conducted in support of DOE's assessment of mandatory appliance and equipment efficiency standards. He has also led large complex engagements for the Bonneville Power Administration, including a commercial lighting market characterization study and an intensive modeling assessment of regional energy savings from efficiency standards. Rob holds a B.A. in Economics from the University of Virginia and an M.B.A from the University of Maryland. Prior to joining Navigant, he worked at USA Today covering energy issues in the news. He loves golf, P90X, and Notre Dame football. Prior to joining Cadeo, Elizabeth was a consulting director with Corios, LLC where she led multi-year analytics projects for clients in the financial services and insurance industries. This included implementing a rapid model deployment framework for a large insurance company, leading numerous marketing campaign automation projects, and implementing a model management framework for a mid-size bank. 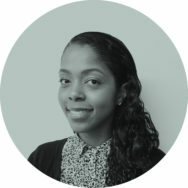 Elizabeth worked closely with clients to gather requirements and ensure overall project success while taking a lead role in the development and implementation of analytical solutions. Elizabeth’s prior experience as a planning specialist in Energy Efficiency at the Bonneville Power Administration (BPA) developed her deep familiarity with energy efficiency in the Northwest. At BPA she led measure research efforts in coordination with program and engineering leads, compiled and analyzed program data, and coordinated with the Northwest Power & Conservation Council’s Regional Technical Forum. 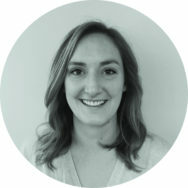 Elizabeth also has extensive experience working with utilities outside the Northwest; as a senior associate with the Cadmus Group she specialized in cost-effectiveness analysis and led the development of analytical tools including DSM Portfolio Pro, which was used by planners, evaluators, and regulators across North America. Elizabeth also managed impact and process evaluations for a wide array of utility clients and was the technical lead in planning program participation and budgets for several energy-efficiency plans. Elizabeth holds a B.S. in Mathematics and completed all coursework toward an M.S. in Statistics at Portland State University. When she’s not coding, Elizabeth enjoys camping & hiking, reading mysteries, doting on her rescue dog Cali, and being a crazy cat lady. Through these experiences, Doug has learned how to support efficiency industry stakeholders in their goal to offer, and continually improve, high-quality efficiency programs that deliver reliable energy savings. Prior to joining Cadeo, Doug was a senior associate with the Cadmus Group, Inc., where he led multi-year impact and process portfolio evaluations for utilities in Massachusetts and Missouri. Through these experiences, he learned how to assess energy-efficiency potential, create long-term evaluation plans that inform program implementation, accurately estimate program energy and demand impacts, and to effectively communicate methodologies and findings with a wide range of efficiency stakeholders. He also serves on the Board of Directors for Portland's Community Energy Project. Doug holds a B.A. in Economics from the University of California at San Diego and a Masters in Urban and Regional Planning from Portland State University. He loves hiking and reading with his two young children, attempting to play basketball, and enjoying Portland's limited – but glorious – sunshine. 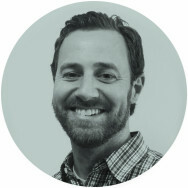 Prior to joining Cadeo, Fred was most recently a consulting director at Corios, a boutique management consulting firm, where he enabled clients in the financial services, manufacturing, retail, and utility industries to use the power of analytics to gain insights about their customers and business processes, and ultimately to boost their bottom-lines. In addition to his tenure at Corios, Fred has spent several years in the Northwest energy-efficiency scene as an associate at the Cadmus Group. While at Cadmus, Fred led numerous conservation potential assessments and impact evaluation tasks for utilities across North America. Fred holds a B.S. in Mathematics from Harvey Mudd College and a M.S. in Statistics from Oregon State University. When away from the office, Fred enjoys spending time with his children, applying his analytical skills to fantasy sports and board games, and cooking meat in his backyard. Prior to joining Cadeo, Kate conducted energy-efficiency program evaluation and research at The Cadmus Group for six years. 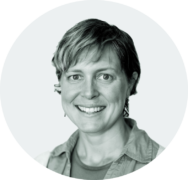 While at Cadmus, she performed extensive market research on the appliance recycling industry in California, evaluated the statewide residential energy-efficiency programs in Wisconsin, and measured the effectiveness of an innovative program design in Vermont. Kate also leverages her prior experience in the international development industry, where she developed and implemented programs in the United States and West Africa. Her international experience strengthened her big-picture thinking, intercultural communication, and creativity. Kate holds a M.S. in Community and Regional Planning from The University of Texas at Austin and a B.A. in International Studies from Middlebury College. In her free time, she travels whenever possible, experiments with small-time philanthropy as a member of the Awesome Portland board, and sings everything from country to opera (but always to very small audiences). 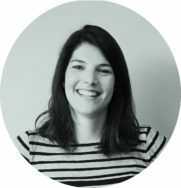 For example, Sarah has experience evaluating the energy efficiency and demand response performance of heat pump water heaters under a number of installation scenarios that have led to important insights regarding their application and implementation in programs and Standards. 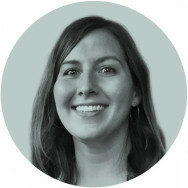 Prior to joining Cadeo, Sarah worked as a research engineer for Pacific Northwest National Laboratory, where she gained a broad base of experience in evaluating and implementing energy efficiency and resource conservation measures in residential, commercial, and industrial sectors through regulatory development, lab scale R&D efforts, and largescale field demonstration projects for DOE and regional stakeholders. This unique experience, spanning from the lab to the field, includes evaluating a range of new energy efficiency technologies (such as heat pump water heaters, low-load HVAC systems, NILM, and Low-E storm windows), leading test procedure development for DOE’s Appliance and Commercial Equipment Standards (ACES) program, and developing new programs and savings estimates for review and approval by the Regional Technical Forum. 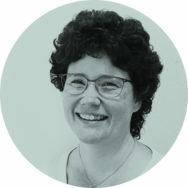 Sarah’s broad range of experience enables her to bring unique insights in assessing and addressing technical challenges to equipment development and evaluation, as well as working collaboratively with industry and other stakeholders to develop successful market transformation programs. Sarah has a B.S. in Chemical Engineering from the University of Washington and a PhD in Civil Engineering from Washington State University. In her spare time, she enjoys biking, running, backpacking, swimming, cross-country skiing, and pretty much anything that involves being outside. 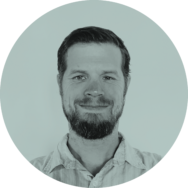 Prior to joining Cadeo, Tim was the Director of Engineering, Research and Analysis at the Center for Sustainable Energy, where he led a team of research analysts and energy engineers in their support of CSE’s numerous DER market transformation programs. This role provided an in-depth understanding of DER market dynamics and a close working relationship with key stakeholders. Tim also served as the Director of Energy Technologies at Ecova, supporting the design of load management products for utility clients. This role provided him with important insights on emerging load management strategies and technologies. Tim holds a B.S. in Natural Resources, Planning and Interpretation from Humboldt State University and a M.S. in Environmental Policy from Bard College. 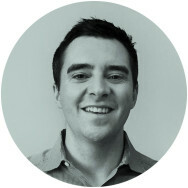 Prior to joining Cadeo, Eric was a consulting director at a small consulting firm called Corios. There he assisted clients in utility, financial services, insurance, and retail industries build more robust analytic technologies and processes to better serve their own customers. Eric has also worked as a research scientist for the Army Corps of Engineers to models the movements of animals in certain ecological spaces to better allow large scale construction projects to minimize harm to wildlife. Eric has worked in research labs for the Army, Navy, and Airforce working on building simulated pilots for training simulators, evaluating the effectiveness of human-robot teams when robots make more human-like decisions, and reducing "cognitive overload" in decision makers. 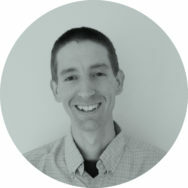 Eric holds a Ph.D. in Cognitive Science and Cognitive Psychology from Indiana University and B.S. degrees in computer science and in psychology from Arizona State University. Laura holds a B.S. in Mechanical Engineering from the Virginia Polytechnic Institute and State University. Prior to joining Cadeo, Mark was a managing consultant at Navigant Consulting, where his work helped establish the DOE’s Appliance Technology Evaluation Center and develop the DOE’s round robin program. He also has experience in fuel cell research and testing as an intern with Contained Energy in Cleveland, OH. Mark holds a B.S. in Mechanical Engineering from Case Western Reserve University and a B.A. from the University of Pittsburgh, and enjoys music, bike riding, chess, and laughter. Prior to joining Cadeo, Mariette was a senior consultant with IBM, and most recently CSRA, providing budget and management analysis, to include energy- and cost-savings analysis and rulemaking reporting and management, for DOE’s Appliance and Equipment Standards Program. Mariette holds a Bachelor’s in Political Science from American University and a Master’s in Journalism from Georgetown University. She thoroughly enjoys travel—particularly to warmer climates—and is a lover of art history. 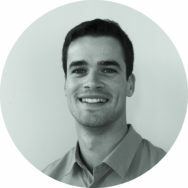 Prior to joining Cadeo, Ethan served ISO New England stakeholders as a market analyst. In this role, he leveraged ISO data to screen for manipulative financial behavior and assess market competitiveness in the wholesale energy market. Through written reports, presentations, and stakeholder interactions he provided transparency into policy impacts and market structure to help inform decision-making. Ethan holds a B.S. in Economics and an M.S. in Applied Economics from Montana State University. In his free time, Ethan enjoys skiing, climbing, backpacking, and everything outdoors. Before leaving for Cadeo, she completed a field study of advanced plug strips for BPA to help inform their regional effort to support the technology. Prior to Seattle City Light she worked for the National Park Service’s Pacific West Regional Office providing technical assistance to facilities including energy efficiency, waste management, and water conservation. She holds a B.A. in Communication from Southwestern University and is a Certified Energy Manager and a Certified Measurement and Verification Professional. 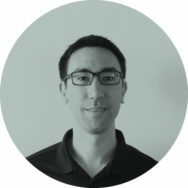 Javier brings his unique perspective to today’s appliance and technology evaluation projects, relying on first-principles engineering, data analysis expertise, and a passion for innovation to evaluate new emerging technologies and forecast energy savings and market impacts. Prior to joining Cadeo, Nate was a district representative with Nalco Water where he worked with manufacturing facilities and commercial buildings to optimize water, energy, and natural resource usage surrounding HVAC and large-scale boiler systems. Nate holds a BS in Chemical Engineering from Michigan Technological University, and enjoys hiking, backpacking, cross-country skiing, and woodworking. Prior to joining Cadeo, Kate worked in government affairs for Daikin U.S. Corporation supporting the company’s North American manufacturing efforts by tracking compliance with federal and state standards on energy efficiency and refrigerant use. Kate holds a B.A in Environmental Science from the University of Virginia and an M.S. in Commerce from UVA’s McIntire School of Commerce. As a part of this project, Jonah used a building energy optimization (BEopt) software to construct building simulation models which estimated energy savings. 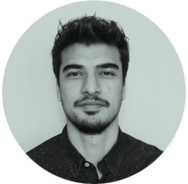 His technical skillset combined with his curiosity for market trends ensures all sides of a deliverable get fully fleshed out before presentation. Prior to joining Cadeo, Mr. Hessels was a lead researcher with MIT’s Sport Technology Group, where he developed an approach to verify the efficacy of emerging technologies within the golf teaching space. He also worked as part of the offshore wave energy research division at the Korean Research Institute of Ships and Ocean Engineering (KRISO) and completed an internship with Transsolar Climate Engineering as an analyst. Jonah holds a B.A. in Mechanical Engineering from MIT. On the weekends you can find him enjoying live music, playing lacrosse, beekeeping, or brewing up a new batch of beer. Before joining Cadeo, Bilsay was an environmental engineer at SWECO where he engaged in planning and feasibility studies for wastewater treatment plants in Turkey. He recently completed a practicum project for Consolidated Edison evaluating the accuracy of baseline energy formulas used to compensate commercial and industrial demand response program participants. Bilsay holds a Bachelor of Science in Environmental Engineering from Orta Doğu Teknik Üniversitesi (Middle East Technical University) and an M.A. in Applied Economics focusing on Resource and Energy Demand Analysis from the University of Wisconsin-Madison. In his free time, Alec can frequently be found playing golf, collecting vinyl records or rooting for the Washington Capitals ice hockey team. Marissa is a recent graduate from The George Washington University where she earned a B.B.A with concentrations in Business Economics & Public Policy and International Business. Prior to graduation, Marissa was an intern with Cadeo. In her spare time, Marissa enjoys traveling to other countries, going to concerts, and watching sporting events. 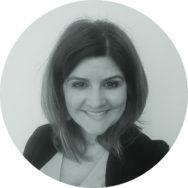 Prior to joining Cadeo, Mindy was an executive assistant and office manager assistant with Coraggio Group and an executive assistant, office manager and human resource specialist with Corios, where she assisted in developing internal processes, staff onboarding procedures, provided executive support, office management, administrative tasks, research and completed special projects. Through these experiences, she developed strong interpersonal skills and emotional intelligence solid in client engagement and employee relations. Mindy holds a B.A. in Communications and a certificate in Training and Development from Marylhurst University in Marylhurst, Oregon. She also volunteers and serves those in need through St. Vincent de Paul in the Sellwood community in Portland, Oregon. Before joining Cadeo, Jenne was Controller for Cassida Corporation, a distributor of cash handling machines, where she led a team responsible for maintaining, producing and distributing complex financial reports. Jenne is currently seeking her B.S in Accounting at Western Governor’s University. When she is not studying, she stays busy watching high school sporting events, travelling, taking walks and snuggling her three cats.